Minecraft is not a good place to learn about animal care. Minecraft is extremely popular with the youf, and that means Mojang arguably has something of a duty of care in the messages it sends to the millions of kiddies for whom the sandbox is their social playground, babysitter and sometimes even classroom. While Minecraft can teach many valuable lessons – co-operation, time management, pixel art – it’s also full of potentially misleading information. But while a whole generation may find itself baffled with sore knuckles and no lumber in the wake of the coming apocalypse, there are more immediate and concerning miscommunications in Minecraft, which could lead to dead pets. As a Reddit post from 1jl points out, Minecraft’s parrot breeding system involves feeding chocolate chip cookies to the friendly birds. Unfortunately, chocolate is extremely bad for parrots in the real world, and while most will avoid it, it’s still quite possible a kid could kill a beloved pet. 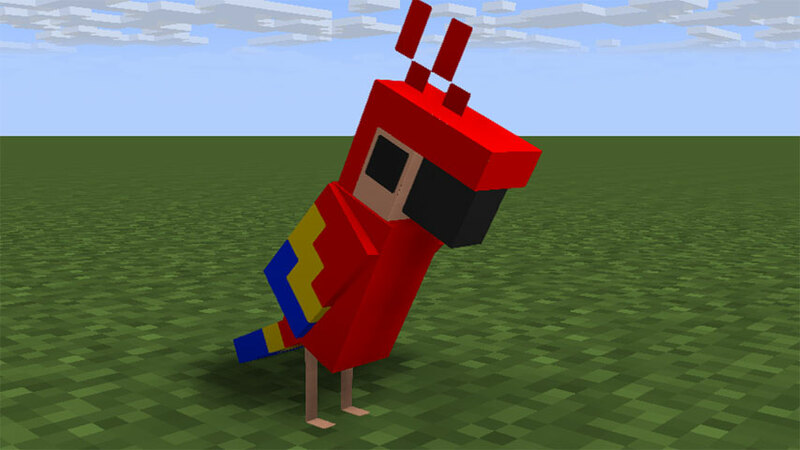 “We’ll change the item used to breed parrots before the 1.12 update is released,” Minecraft lead Jens Bergensten said. He explained that the developer had chosen cookies as the breeding item for parrots both because it didn’t already have a use for cookies and a reference to Nirvana’s Polly – but “didn’t consider” the real world effects of chocolate on birds. In other recent blocky news, Minecraft just came out on Switch and its great; we’ve rounded up some good Minecraft seeds if you’re diving in. In the mothership build, Mojang has launched a shop for Minecraft UGC using in-game currency. Well, we’ve all learned something today. Don’t give your birds chocolate.